^ a b c d e f g h i j k "Ten years and counting". ESPN Soccernet. 15 April 2003. Archived from the original on 1 October 2009. Retrieved 1 October 2009. ^ a b c d e f g h i "10 seasons awards". BBC Sport. 26 December 2002. Archived from the original on 1 October 2009. Retrieved 1 October 2009. ^ a b c d e "10 Seasons Awards". Premier League. n.d. Archived from the original on 20 December 2002. Retrieved 2 October 2009. ^ a b c d e f g "Teams of the decade revealed". 4TheGame.com. 6 April 2003. Archived from the original on 1 October 2009. Retrieved 1 October 2009. ^ a b c d e f "Shearer nets awards". BBC Sport. 14 April 2009. Archived from the original on 1 October 2009. Retrieved 1 October 2009. ^ a b c d e Daley, Kieran (28 April 2003). "Shearer takes 'player of the decade' award". The Independent. London. Archived from the original on 1 October 2009. Retrieved 1 October 2009. ^ "The Panel". Premier League. n.d. Archived from the original on 20 December 2002. Retrieved 6 October 2009. ^ a b c "10 Seasons Awards, 10 Seasons on TV & Radio". Premier League. n.d. Archived from the original on 6 February 2003. Retrieved 6 October 2009. 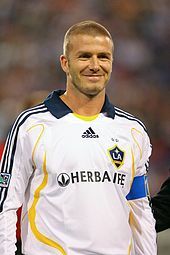 ^ a b c d e f g "Goal of the Decade:Beckham". Premier League. n.d. Archived from the original on 29 April 2003. Retrieved 6 October 2009. ^ "10 Seasons – Voting Has Now Closed". Premier League. n.d. Archived from the original on 19 February 2003. Retrieved 2 October 2009. ^ a b c d e f g "Community Award for Lucas". Premier League. n.d. Archived from the original on 29 April 2003. Retrieved 6 October 2009. 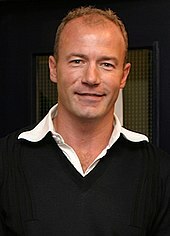 ^ a b c "Profile – Alan Shearer". Premier League. n.d. Archived from the original on 4 June 2003. Retrieved 6 October 2009. ^ a b c d e f Dickinson, Matt (15 April 2003). "Cantona backing United to take the honours". The Times. London. Archived from the original on 1 October 2009. Retrieved 1 October 2009. ^ a b c d e f g h i j Davies, Christopher (15 April 2003). "Seaman is the greatest, says Shearer". The Telegraph. London. Archived from the original on 1 October 2009. Retrieved 1 October 2009. ^ a b c d e "10 Seasons:Match of the Decade". Premier League. n.d. Archived from the original on 29 April 2003. Retrieved 6 October 2009. ^ a b c d e f g h i j k l m n o p q r s "10 Seasons Awards Winners". Premier League. n.d. Archived from the original on 17 April 2003. Retrieved 6 October 2009. ^ a b c Jason Burt (15 April 2003). "Cantona's world of sardines, fat managers and early retirement". The Independent. London. Archived from the original on 1 April 2010. Retrieved 1 April 2010. ^ a b Bright, Richard (28 April 2003). "Shearer 'best of decade'". The Telegraph. London. Archived from the original on 1 October 2009. Retrieved 1 October 2009. ^ a b c d e f g h i j k l m n o Davies, Christopher (15 April 2003). "The Premiership elite selection 1993–2003". The Telegraph. London. Archived from the original on 9 October 2009. Retrieved 2 October 2009. ^ a b c Hughes, Rob (30 July 1996). "Newcastle United Pays Record $23 Million for Shearer". New York Times. Archived from the original on 17 October 2009. Retrieved 17 October 2009. ^ a b c d e "Profile – Alan Shearer". Premier League. n.d. Archived from the original on 4 June 2003. Retrieved 17 October 2009. ^ a b c d e f g h i "Shearer goes home for £15m". The Independent. London. 30 July 1996. Archived from the original on 17 October 2009. Retrieved 17 October 2009. ^ a b c d e f g h i "Shearer the Geordie Gem". BBC Sport. 15 June 2001. Archived from the original on 11 November 2009. Retrieved 11 November 2009. ^ Brown, Geoff (1 May 1994). "Football round-up: Dark clouds gather over Everton". The Independent. London. Archived from the original on 11 November 2009. Retrieved 11 November 2009. ^ a b c Benammar, Emily (27 April 2008). "PFA Player of the Year winners 1974–2007". The Telegraph. London. Archived from the original on 11 November 2009. Retrieved 11 November 2009. ^ "Football: Shearer wins PFA award". London: The Independent. 14 April 1997. Archived from the original on 11 November 2009. Retrieved 11 November 2009. ^ a b c d "Cantona Retires". New York Times. 19 May 1997. Archived from the original on 17 October 2009. Retrieved 16 October 2009. ^ a b c d "Sir Alex Ferguson Profile – Manager of the Decade". Premier League. n.d. Archived from the original on 17 April 2003. Retrieved 15 October 2009. ^ a b c d "Eric Cantona". www.premierleague.com – Player Profile. Premier League. n.d. Archived from the original on 29 April 2003. Retrieved 16 October 2009. ^ Bielderman, Erik (16 April 1994). "Football: Cantona: 'I will stay as long as I'm happy'". The Independent. London. Archived from the original on 16 October 2009. Retrieved 16 October 2009. ^ Lacey, David (26 January 1995). "Cantona hits fan, faces lengthy ban". The Guardian. London. Archived from the original on 17 October 2009. Retrieved 16 October 2009. ^ Ridley, Ian (21 April 1996). "Football: Cantona is best since Best". The Independent. London. Archived from the original on 16 October 2009. Retrieved 16 October 2009. ^ a b "Charles in the Hall of Fame". BBC Sport. 30 November 2002. Archived from the original on 15 October 2009. Retrieved 15 October 2009. ^ "Results / Fixtures – English Premier – MK Dons 0 (0) – 3(1) Man Utd At Selhurst Park on 17-08-1996". Soccerbase. n.d. Archived from the original (database result report) on 9 October 2009. Retrieved 9 October 2009. ^ a b c d "Save of the Decade: Schmeichel". Premier League. n.d. Archived from the original on 29 April 2003. Retrieved 6 October 2009. ^ a b Turnbull, Simon (22 December 1997). "Football: Cole and Schmeichel combine to keep United in the clear". The Independent. London. Archived from the original on 9 October 2009. Retrieved 9 October 2009. ^ "Results / Fixtures – English Premier – Newcastle 0 (0) – 1(0) Man Utd At St James' Park". Soccerbase. n.d. Archived from the original (database result report) on 9 October 2009. Retrieved 9 October 2009. ^ "Classic Match:Liverpool 4–3 Newcastle". Official site – Features – Magazine. Premier League. 9 August 2007. Archived from the original on 30 November 2012. Retrieved 6 October 2009. ^ "Results / Fixtures – English Premier – Liverpool 4 (1) – 3(2) Newcastle At Anfield on 03-04-1996". Soccerbase. n.d. Archived from the original (database result report) on 9 October 2009. Retrieved 6 October 2009. ^ "Results / Fixtures – English Premier – Liverpool 4 (3) – 3(0) Newcastle At Anfield on 10-03-1997". Soccerbase. n.d. Archived from the original (database result report) on 9 October 2009. Retrieved 9 October 2009. ^ a b c "Owen miss nets award". The Telegraph. London. 14 April 2003. Archived from the original on 13 October 2009. Retrieved 13 October 2009. ^ a b "Results / Fixtures – English Premier – Liverpool 2 (1) – 3(3) Man Utd on 11-09-1999". Soccerbase. n.d. Archived from the original (database result report) on 13 October 2009. Retrieved 13 October 2009. ^ "Liverpool 2 – 3 Manchester United". The Guardian. London. 11 September 1999. Archived from the original on 13 October 2009. Retrieved 13 October 2009. ^ a b "60 seconds in sport with Sky Sports football commentator Martin Tyler". The Times. London. 11 May 2003. Archived from the original on 10 October 2009. Retrieved 9 October 2009. ^ a b "Commentator of the Decade – Martin Tyler". Premier League. n.d. Archived from the original on 4 June 2003. Retrieved 9 October 2009. ^ a b "100 Greatest Sporting Moments – Nominations – 1996–2001". Channel 4. n.d. Archived from the original on 13 October 2009. Retrieved 13 October 2009. ^ a b c "Angry Keegan rises to challenge". The Independent. London. 30 April 1996. Archived from the original on 13 October 2009. Retrieved 13 October 2009. ^ a b Moore, Glenn (1 May 1996). "Keegan in danger of cracking under the strain". The Independent. London. Archived from the original on 13 October 2009. Retrieved 13 October 2009. ^ "Scholes provides United with the firepower". The Independent. London. 29 April 1996. Archived from the original on 13 October 2009. Retrieved 13 October 2009. ^ Peart, Harry (28 August 2003). "Cantona quotation's source explained". BBC News. Archived from the original on 13 October 2009. Retrieved 13 October 2009. ^ "100 Greatest Sporting Moments – Home". Channel 4. n.d. Archived from the original on 13 October 2009. Retrieved 13 October 2009. ^ "100 Greatest Sporting Moments – Results". Channel 4. n.d. Archived from the original on 13 October 2009. Retrieved 13 October 2009. ^ a b c "Manager Profile – Sir Alex Ferguson CBE". League Managers Association. n.d. Archived from the original on 15 October 2009. Retrieved 15 October 2009. ^ "Ferguson honoured with CBE". The Independent. London. 31 December 1994. Archived from the original on 15 October 2009. Retrieved 15 October 2009. ^ "Arise Sir Alex". BBC News. 12 June 1999. Archived from the original on 15 October 2009. Retrieved 15 October 2009. ^ "Knights Bachelor". BBC News. 12 June 1999. Archived from the original on 15 October 2009. Retrieved 15 October 2009. ^ "Harley scores as Leeds crash". BBC. 1 April 2000. Archived from the original on 14 October 2009. Retrieved 14 October 2009. ^ a b "Soccer: Lucas Radebe". www.safrica.info. International Marketing Council of South Africa. 29 April 2005. Archived from the original on 14 October 2009. Retrieved 14 October 2009. ^ "Lucas Radebe The Loyal Chief". www.fifa.com/classicfootball/stories/doyouremember/. FIFA. n.d. Archived from the original on 14 October 2009. Retrieved 14 October 2009. ^ "Lucas Radebe to receive the FIFA Fair Play Award for 2000". FIFA. 6 December 2000. Archived from the original on 14 October 2009. Retrieved 14 October 2009. ^ a b "Ferdinand scores Premiership's 10,000th goal". RTÉ Sport. 12 December 2001. Archived from the original on 9 October 2009. Retrieved 9 October 2009. ^ "Results / Fixtures – English Premier – Tottenham 4 (2) – 0(0) Fulham At White Hart Lane on 15-12-2001". Soccerbase. n.d. Archived from the original (database result report) on 9 October 2009. Retrieved 9 October 2009. ^ a b "James Lawton: Premiership loses perspective in its desire to make instant history". The Independent. London. 3 April 2003. Archived from the original on 1 October 2009. Retrieved 1 October 2009. ^ "Keane excluded from Overall Team of the Decade". RTÉ Sport. 15 April 2003. Archived from the original on 1 October 2009. Retrieved 1 October 2009.